Glass facades dominate the face of the modern city. It makes even massive buildings look light, transparent and elegant. 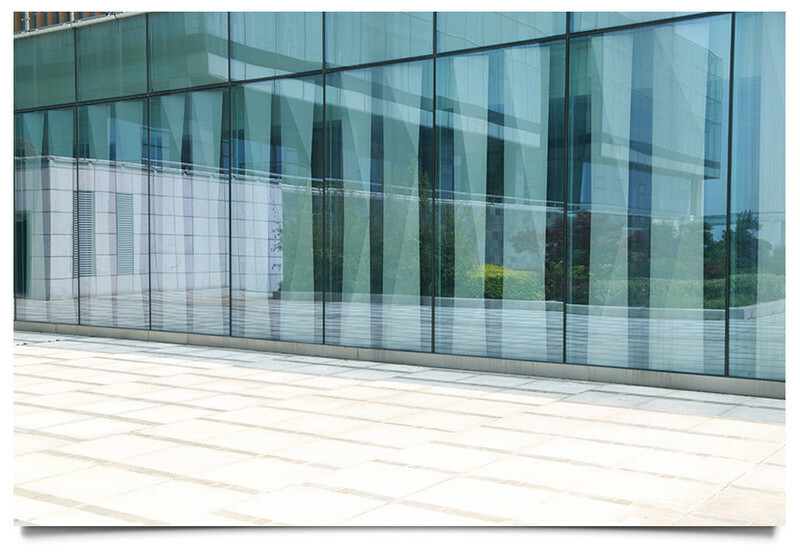 Modern glass technology allows glass sheets to be fixed at a few points, so that the building can be covered with a continuous “glass skin”. Glass in a wide range of tints ensures the right tone. Building surfaces can also be used actively: power generation from solar energy using photovoltaic modules. These modules consist of extra-clear glass with embedded solar cells to convert light into electric power. Point-mounted glass systems with sparing and unobtrusive mountings made of high-grade stainless steel are also suitable for balustrades, railings, partition walls or glass canopies. Roofs made of glass to cover house entrances offer protection from the weather without putting the entrance area into the shade. They keep the rain off, but not the daylight. And they don’t spoil the view either: the house facade is not visually disrupted. 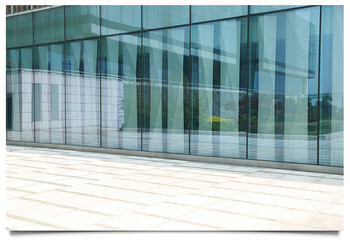 Glass doors are used in public buildings and in private ones too. They consist of safety glass, enabling them to withstand unusual stresses. Indoor rooms too with insufficient daylight entering them can be supplied with light through glass doors. The use of tinted, ornamental or designer glass provides fascinating options for design. All-glass entrances ensure not only protection from the weather: their transparency has an open effect, creating a link between indoors and outdoors while letting in daylight. Walk-on glass is a design highlight: transparency and stability harmoniously combined. Contact with the ground can be dispensed with: Freely “floating”, as a stairway or gallery, the elements have the load-bearing capacity needed for day-to-day stresses. Glass is unbeatable as a floor covering too: elegant, durable and easy to clean in equal measure – an eyecatcher in trade fair and exhibition areas. A special coating provides the necessary anti-slip effect.